Everyone has their preferences about death. Sometimes we talk about it before it happens, and if we don’t, well, I suppose it doesn’t really matter. I’ve enjoyed getting to know some different customs over the past 26 years as a pastor in the Mountains of Virginia and Tennessee (my native country). For instance, in the coal fields around Richlands, Virginia, it is customary to keep the casket open through the whole service. After a night of “visitation,” mourners gather the next day for the funeral service. There’s usually singing, followed by someone reading the obituary, followed by a scripture reading and some “preaching.” The preaching differs depending on who’s doing the preaching, but it varies from a quiet, reflective message that weaves scriptural truth around stories of the deceased’s life, to wind-sucking warnings against dying without your “fire insurance.” I’ll let that sink in a bit. Then it is customary after the preaching is over to parade the crowd by the open casket. Some will pause and look inside, others will cast their eyes in another direction and keep walking. Others will go out a different way. The family then goes last, spending their last moments with their loved one, sometimes breaking down into emotional torrents of sobbing and shaking. I found that some fellowship with the funeral directors was necessary when going to the funeral home in the role of pastor. During the visitation, I would sometimes sit in the office and talk with these folks. They have some unique stories. Once I was talking with Bob Bennett from Honaker Funeral Home and he was the Jerry Clower of Funeral Directors. Great storyteller. He told me that when he was starting out in the funeral business, he decided to apprentice with the Hurst-Scott Funeral Home in Richlands. He said that one day they had a burial over in Buchanan County (the heart of the coal fields). After a long funeral, the procession began to the mountain grave yard. He said they turned off somewhere around Keen Mountain and just kept winding and winding up mountain roads. 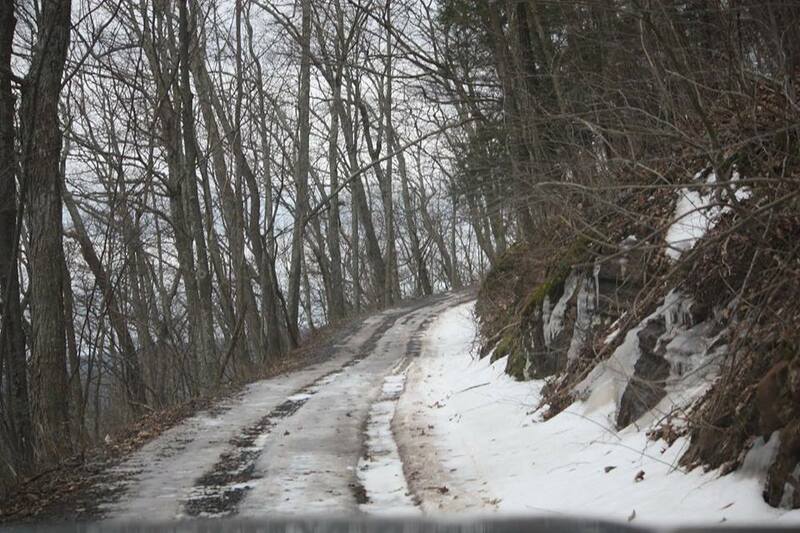 The longer they drove, the narrower the road got. Finally, he said, it was just two tire tracks in dirt. He said that they came finally to a little mountain cemetery, surrounded by a ram-shackle fence. The funeral home tent was standing in the grave yard, the grave digger standing nearby. As the lead car (in which he was riding with Mr Scott of Hurst-Scott) slowly got to the fence, they stopped. The grave digger came straight to them. Mr Scott rolled the window down to hear what he had to say. “What’s that?” Mr Scott had been through numerous burials, he had much experience, so problems were no cause of concern to him. “Well, . . . er, . . . an old cow’s got down in the grave, and we can’t get her out.” The grave digger began pacing back and forth. By this time people are getting out of their vehicles, so they know the funeral will begin soon, and there’s no turning back at this point. This entry was posted in Uncategorized and tagged apprentice, burial, burial service, coal fields, cow, death, funeral, funeral home, grave, mountain graveyard, mountain road. Bookmark the permalink.